The latest Playerunknown's Battlegrounds Patch Notes were released a few days ago. Included in the update are announcements for the PC release. PlayerUnknown’s Battlegrounds developers recently announced a new Early Access update on their Steam page. Aside from the latest Battlegrounds patch notes, the post included information about the upcoming PC 1.0 release. In a few months, developers at Bluehole will finally release the official version of PlayerUnknown’s Battlegrounds to the PC community. Version 1.0 will include new features like vaulting and climbing as well as new maps and modes. 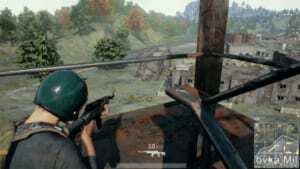 In order to prepare players for the PC release, the PUBG developers will also update the Early Access version of Battlegrounds and release test servers with the new gameplay mechanics. Developers announced that they will be releasing the first test servers prior to the official PC release in early November. This update will feature new ways for moving around the battlefield, which includes the ability to leap through windows. The developers intend for players to try out these new features on the test servers. They will talk about these test servers in a future announcement regarding the Battlegrounds update schedule. Aside from releasing the new vaulting and climbing mechanics, the developers also intend to solve many ofthe bugs found in the current live servers, including optimization issues. We can expect bug fixes, optimization, among many other improvements in the pre-release test servers. Here are the Battlegrounds patch notes for week 31 of the Early Access version. You can find the full post here. The recent Battlegrounds patch notes don’t really contain much compared to other patch notes. However, this update does change the gameplay significantly. By increasing the blue zone Damage over Time (DOT), the developers hope players to focus on the immediate, close-ranged skirmishes inside the play zone. The update might preclude the common late-game strategy of waiting at the edge of the playable zone for players to come rushing into the area. In this version, the final minutes of the game will drastically change. Players will have to look for foes inside the playable area instead of looking for enemies trying to enter the zone, increasing the tension. On the other hand, anyone outside of the circle who doesn’t have a car will have a harder time surviving. What are your thoughts on the newest Battlegrounds patch notes? Are you excited for the PC version 1.0 release? Comment below and let us know! Changes to Scheduled Patch Rollouts Announced!